The Fiji Beach Volleyball team knows what to expect when they take on some of the best teams in the Commonwealth Games in April. The men and women’s team arrived into the country yesterday after two weeks of training in New Zealand and Australia. 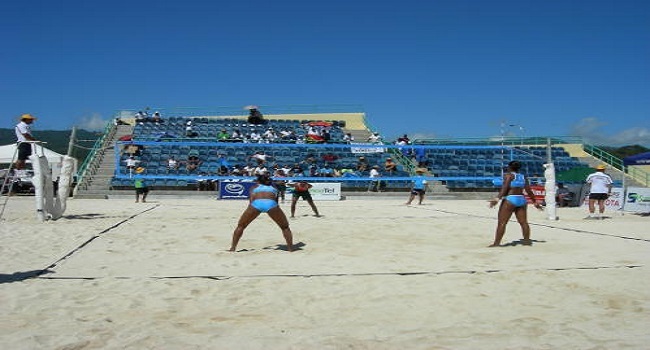 Director of Fiji Beach Volleyball Josese Tulele says the players are in shape and ready for the games. Fiji Men’s team is in pool A with Australia, Trinidad & Tobago and St Kitts & Nevis while the women are in pool B with Canada, England and Trinidad & Tobago. The Commonwealth Games will take place from the 4th to the15th of April in Gold Coast Australia.